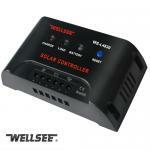 WELLSEE WS-L4830 30A 48V solar street light controller_Lighting Controller_Products_Physical therapy,health product,therapeutic apparatus,Electro Acupuncture,Medical Supplies are best selling on our website! China leading supplier of PV products and home health care products.Help save the planet and save your money! We will confirm with you before delivery. WS-L4830 30A Wellsee solar street light controller We are special large scale R&D and manufactory enterprise of solar street light controller and global supplier of Wellsee solar controller and photovoltaic system equipment. We also have passed ISO9001, CE and ROHS certifications. 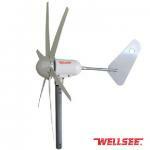 Wuhan Wellsee products can be designed and produced according to clients special request. Welcome to be our agents. 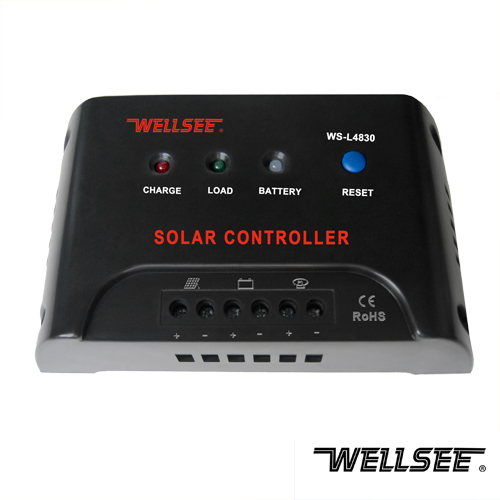 WS-L4830 (solar street light controller Wellsee Solar Head Lamp Controller ) applies in solar photovoltaic lighting system below 1440W, which coordinates the working of solar panels, batteries and lamps, and is an important module to the whole system. 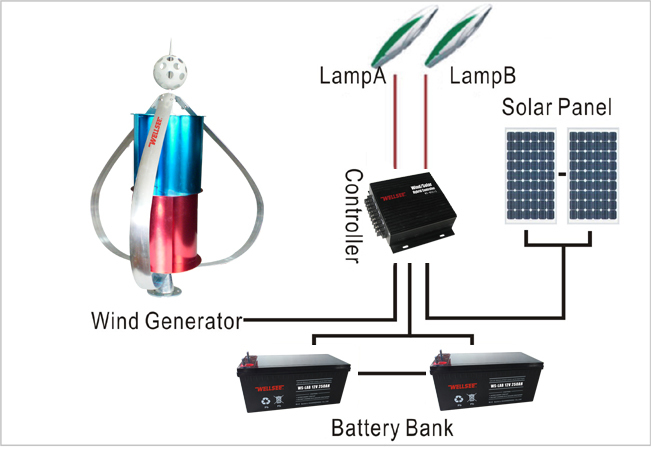 With its virtues of one-tough process, convenient operation, excellent capability and reliable quality, it is a multifunctional and all-purpose solar controller special for various solar street lamps and indoor solar power system. 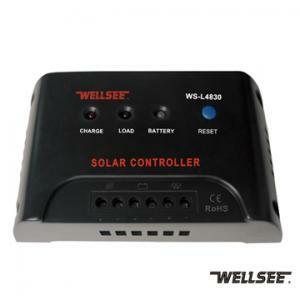 WS-L4830 Wellsee solar street light controller adopts micro-controller which can intelligently perceive the light intensity, thus it turns on automatically when it is dark and turns off automatically to the fixed time or dawn. The operation condition of the controller is easy checking with its accurate LED display, and adapts to cold, heat, humidity and other harsh environment. The environmental protection grade is IP22. 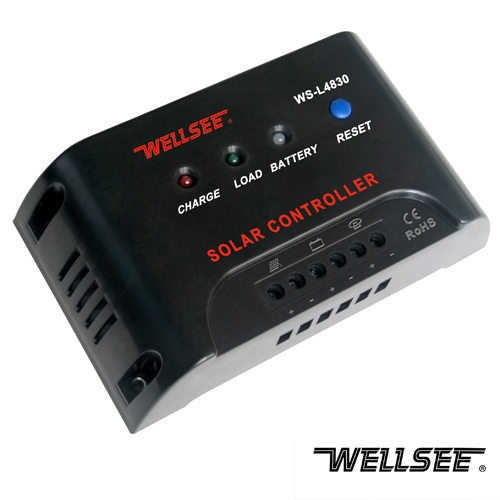 WS-L4830 Wellsee solar street light controller possesses the function of intelligent temperature compensation and efficient PWM battery charging mode, ensuring the storage battery to work at the best status of charging and discharging and to avoid "over-charging or over-discharging," thus greatly extend the battery lifetime. 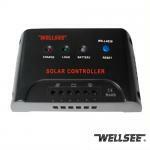 Different from other solar lamp controller, Wellsee Solar Lamp Controller adds overall protection, ensuring the whole solar photovoltaic system to operate with efficiency and safety. 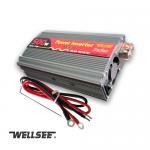 1.It can prevent the battery from over-charging and over-discharging. 2.It can prevent reversed charging (the battery charges the solar panel). 3.It can prevent reverse connection of the battery and solar panel. 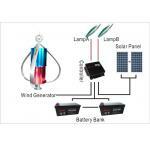 4.It will start up the lighting system in the evening automatically according to the intensity of the light. 5.20 regular time modes and 10 sectional models can be set. 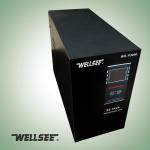 6.It has a LED indicator of the working condition of charging and discharging. ·It has one charging indicator light (Charge). It is charged drivingly when the Charge is on, charged floatingly while the Charge flickers; and the charging has stopped when the Charge is off. ·It has one load indicator light (Light). When it is on, there is output and it can work with load; contrarily there is no light output and it is not workable when the light off. 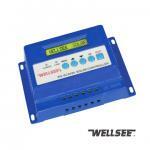 ·A battery indicator light, red means low voltage, green stands for fully charged, and yellow shows normal. 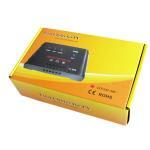 excellent lamp controller, good quality. carton controller received, well packed, thank you! © 2005-2019 blue-light Copyright, All Rights Reserved.